Property listed by Intelligent Real Estate, Inc..
Gorgeous home that backs to HOA greenbelt has fabulous panoramic views. 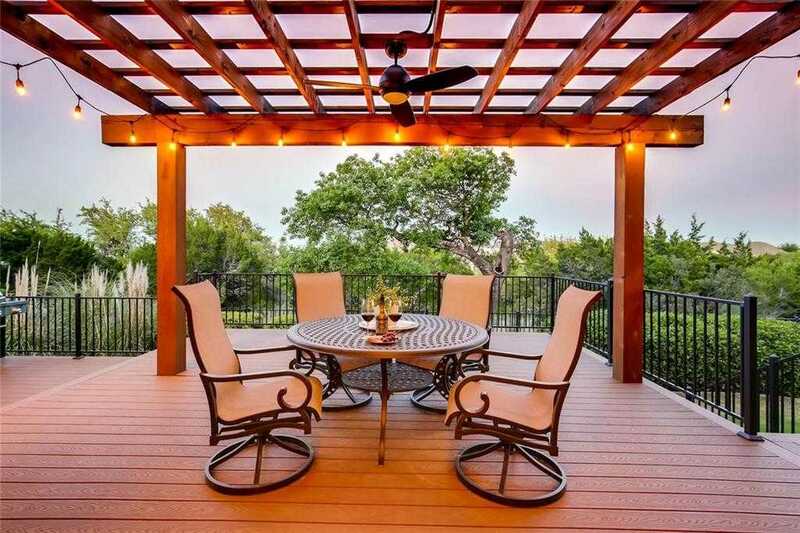 Defined by its tranquil outdoor spaces including expanded deck & covered upstairs patio. Designer paint,updated fixtures including lights,plantation shutters & blinds.Hard to find 2 bedrooms on the main including master suite & separate guest room/office with full bath. Upstairs: game room, wired home theater, 3 beds/2 baths. Tandem 4 car garage.Very open floorplan.Low tax rate!Located within desirable Lake Travis School District. Please, send me more information on this property: MLS# 7495271 – $695,000 – 16104 Zagros Way, Bee Cave, TX 78738. I would like to schedule a private showing for this property: MLS# 7495271 – $695,000 – 16104 Zagros Way, Bee Cave, TX 78738.